These beautiful rooms are located in the new wing and have an independent entrance from the main reception. 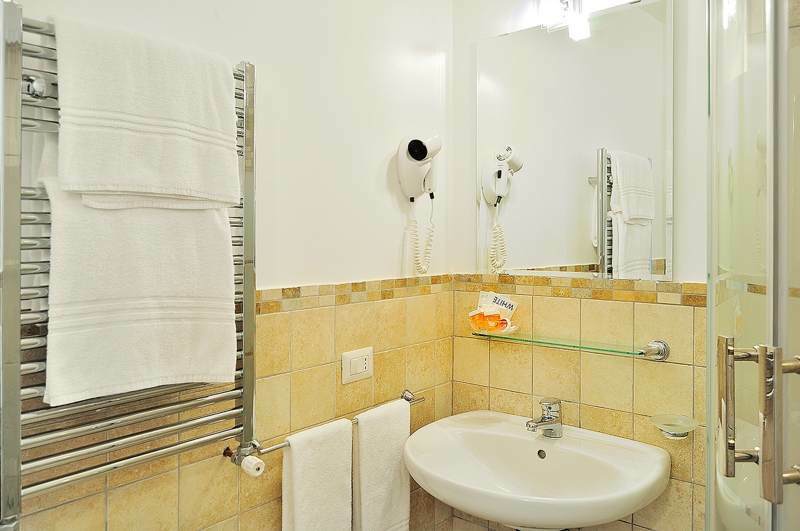 They are elegantly furnished and fitted to a high standard with all the latest amenities. Large comfortable beds with fine cotton linen, and a well-appointed bathroom ensure you will enjoy a relaxing stay at our Relais. A delicious buffet breakfast, which is not included in the room rate, is available for €8,00 per person per day. 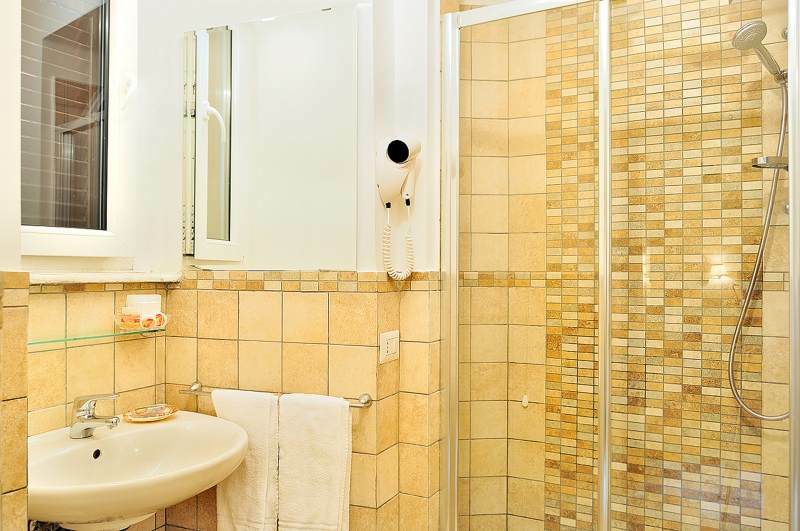 BATHROOM: Comfortable and modern with the finest Italian tiles, shower, hair-dryer, towel heating, smooth cotton towels and natural Mediterranean soaps, shower gels & hair products. 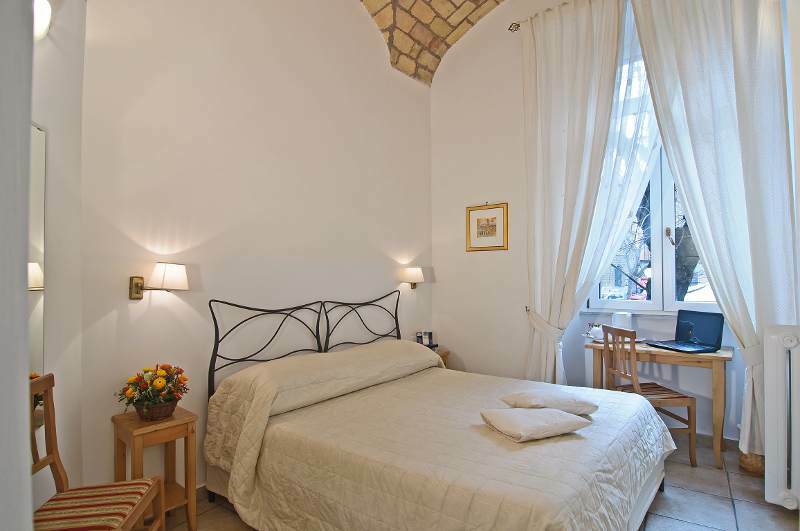 All recently renovated, our Standard Double Rooms feature high vaulted or wooden-beamed ceilings, dating back to XII century, and are located in the new wing with its own independent entrance. 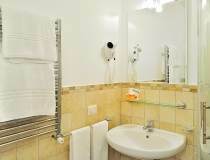 These stylish rooms are elegantly furnished and fitted to a high standard with all the latest amenities. Our charming Superior Double Rooms are more spacious with beautiful wide windows overlooking our peaceful private garden. 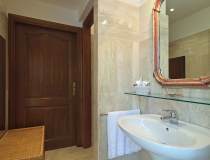 They are elegantly furnished to a high standard, and fitted with all the modern amenities. 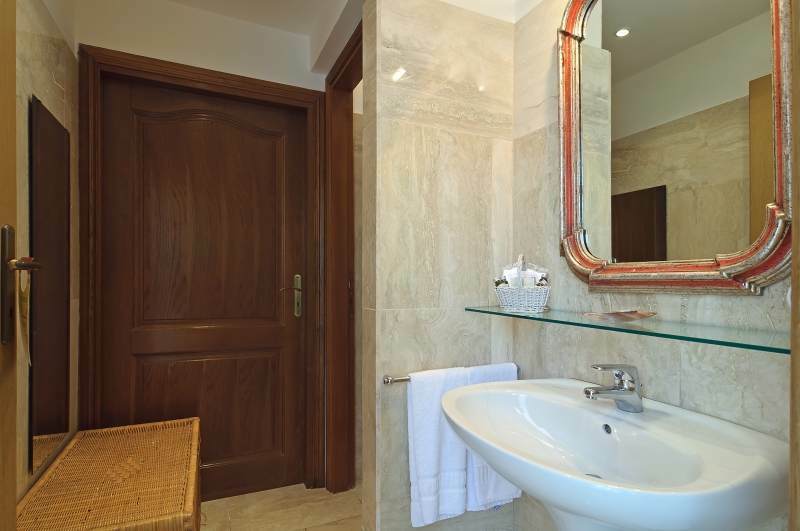 The comfortable beds are dressed in soft cotton linen and the bathrooms well-appointed with large showers and the finest Italian tiles.